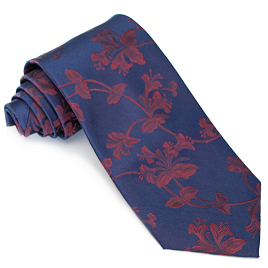 Affectionately known as the "Tenzo Tie" this beautifully woven floral tie features a red jacquard weave over a navy blue field which gives an aubergine sheen when viewed at different angles. 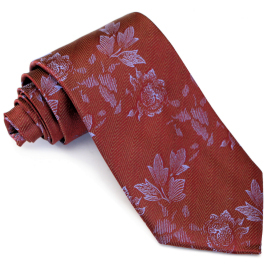 Complete with custom printed floral lining, this tie will quickly become the favourite in your wardrobe. 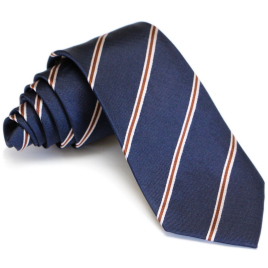 Officially my favourite 10th doctor tie! 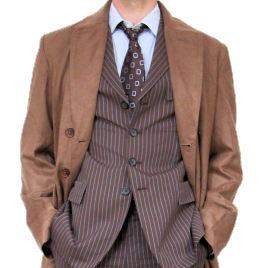 It goes so well with my Blue Time Suit. The way it shimmers between the red and navy is so eye catching. 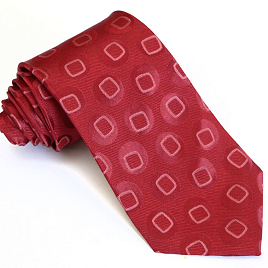 Everyone keeps asking me where I get these great ties from and I keep telling them, you need to buy from Magnoli, they are the best! 5 Stars everyday!! Excellent tie, 100% accurate. I love the way the colours shift are you move. 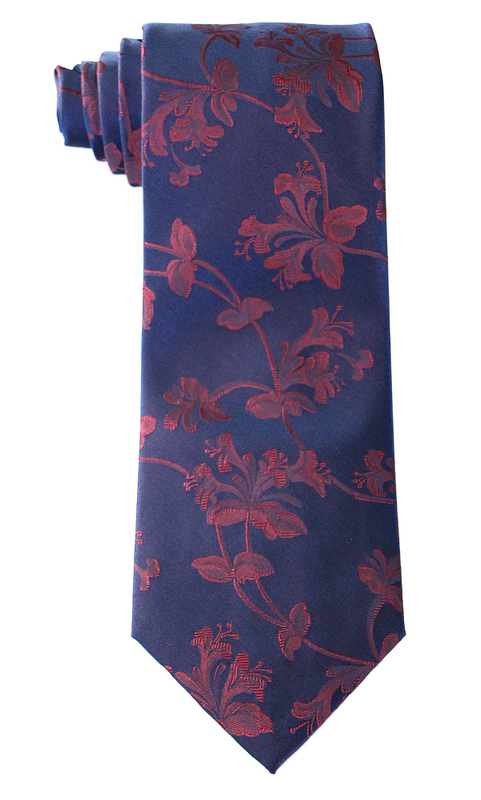 I was very excited to receive this tie in the mail a few weeks ago - and it is absolutely one of the most beautiful ties in my collection! 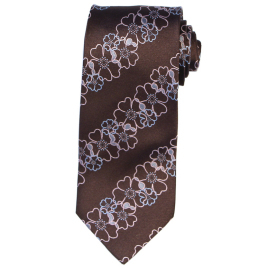 The two-tone sheen and detailed floral pattern are gorgeous, and it compares perfectly to screenshots of David's original. 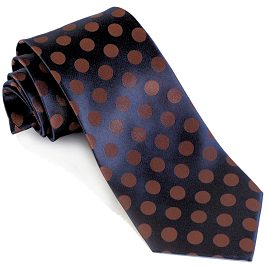 Can't recommend this tie enough!